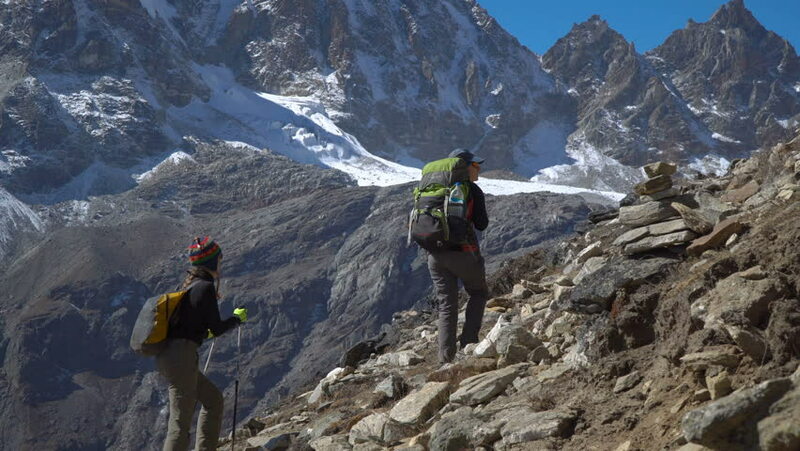 hd00:18A long line of hikers and sherpas carry gear up the trail in the direction of Ama Dablam near a chorten monument. hd00:19A horse grazing near Bagini Glacier, Uttarakhand, India. In the background, there is Garur and Hardeol peak of Himalaya. 4k00:10tourist feet on the background of the Everest Base Camp on the glacier Khumbu- Nepal Himalayas. hd00:09Tourists go to the top of the mountain. 4k00:08The girl climbs to the top of the cliff and raised hands.